The crime of embezzlement is one of the more commonly charged white collar crimes in the Burbank area. As dictated by California Penal Code Section 503 PC, the crime of embezzlement is a class of Burbank theft offenses that is often charged by prosecutors in connection with petty theft violations under California Penal Code Section 484 PC or grand theft allegations pursuant to California Penal Code Section 487 PC, depending on the amount of money or value of property misappropriated. 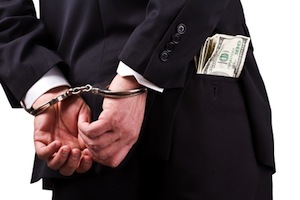 Embezzlement is often commonly referred to as "employee theft." This is because in many cases it is committed by employees of a business who are situated in positions of trust and who then abuse their position to misappropriate money or property that does not belong to them. This can include misusing a company credit card, stealing from a company's cash supply or making unauthorized withdrawals from corporate accounts. The crime of embezzlement is often committed by professionals such as accountants, bookkeepers, bankers and others who are regularly granted access to cash and financial accounts. AND the defendant did this with the intent of depriving the owner of the property's use. Merely being charged with embezzlement can prove devastating to a person's professional and personal life. Those who are eventually convicted of this crime can face steep penalties and would have a criminal conviction that would harm future employment opportunities. In addition, a conviction for embezzlement can jeopardize professional licenses and accreditations. When the crime of embezzlement is committed by someone who is employed by the government at the city, state, county or municipal level, the defendant would be charged under California Penal Code Section 504 PC. Judges and prosecutors take embezzlement by public officials very seriously and tend to seek more stringent punishments for those accused of abusing the public trust in this manner. The crime of embezzlement can be charged as either a felony or a misdemeanor, depending on the amount of money or value of the property misappropriated. If the crime is a felony, the case will be handled by a Deputy District Attorney from the Burbank Satellite Office of the Los Angeles County District Attorney's Office. If the charge is a misdemeanor, the prosecution would be handled by the Burbank City Attorney's office. For embezzlement crimes in which the loss exceeds $950, charges of grand theft pursuant to California Penal Code Section 487 PC could be charged against the defendant. If the theft involved a loss of $950 or less, the defendant would face petty theft charges under California Penal Code Section 484 PC. Grand theft is a considered a "wobbler" offense. This means that it can be charged criminally as either a felony or a misdemeanor. When deciding what level of charges to file, prosecutors consider factors such as the criminal history, if any, of the defendant, the amount stolen, and any other relevant facts unique to the case. If charged as a felony, the case would be handled by a Deputy District Attorney from the Los Angeles County District Attorney's Office - Burbank Satellite Office. If referred for misdemeanor filing, the case would be prosecuted by the Burbank City Attorney. Those convicted of grand theft can be sentenced to up to three years in prison for felonies and up to a year in jail for misdemeanors. For both felonies and misdemeanors, the defendant would have to repay the victim the amount stolen through restitution. Petty theft charges are misdemeanors that would be handled solely by the Burbank City Attorney. A conviction for petty theft can be punished by up to a year in jail, mandatory theft counseling classes, court fines and fees and victim restitution. If you or a loved one have been charged with a Burbank embezzlement offense, it is critical that you consult with a knowledgeable and experienced Burbank Criminal Defense Lawyer as soon as possible. Burbank Criminal Defense Attorney Michael Kraut is a former Deputy District Attorney with over 14 years of prosecutorial experience who previously prosecuted these types of offenses as part of the elite Major Fraud Division of the Los Angeles County District Attorney's Office. Mr. Kraut is renowned in Burbank as the top attorney for those charged with embezzlement and other theft related offenses. For more information about Burbank embezzlement crimes, and to schedule your free consultation, contact Burbank Criminal Defense Attorney Michael Kraut at the Kraut Law Group located at 2600 West Olive Avenue, 5th Floor, Burbank, CA 91505. Mr. Kraut can be reached 24/7 at 888-334-6344 or 818-563-9810.